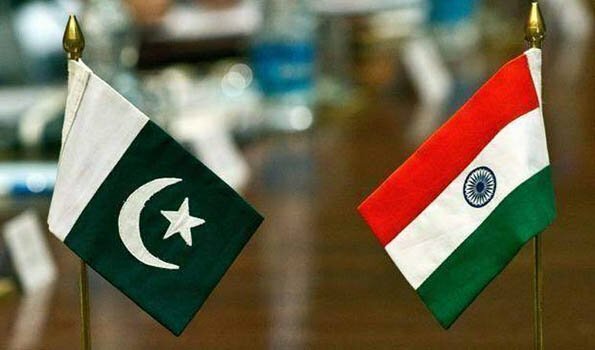 Islamabad: Pakistan’s former foreign minister Khurshid Mahmood Kasuri has said that long-lasting peace between Pakistan and India was possible through people-to-people contact. “We have taken the Kartarpur initiative believing that no progress can be achieved regarding peace between the two countries without people-to-people contact. In fact, long-lasting peace is only possible through this, but unfortunately it has not begun yet,” Mr Kasuri said at a talk, titled ‘Indian elections and the possibility of South Asian peace’, held on the first day of ThinkFest at Alhamra in Lahore on Saturday. Senior journalist Najam Sethi moderated the discussion. Mr Kasuri said he was optimistic about resumption of talks between the two countries that would lead to good relations. “As Prime Minister Imran Khan said, what option are we left with if not war… peace is the only option,” he said, adding that if the Indian opposition parties created a formidable alliance against the ruling Bharatiya Janata Party (BJP), it might win and form the next government. “And even if Mr Modi returns to power, he will have to hold peace talks with Pakistan. He has already come to Lahore,” he added. He predicted that the BJP might return to power in India, but with a thin majority. Moeed Yusuf, associate vice president of the United States Institute of Peace, said six months were enough for the Modi-led BJP to cash in on the anti-Pakistan rhetoric as well as some domestic issues and it would likely return to power.